Most of us live our entire lives using gift-with-purchase cosmetic bags that serve a purpose, but that's about it. Here's a tip: we've been missing out, big! 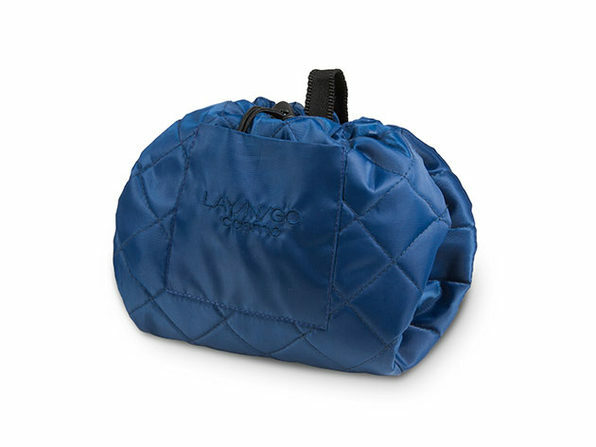 The Lay-n-Go cosmetic bags are specially crafted to allow you to see all of your cosmetics at once. You can forget about digging around for your favorite lipstick or blush, everything is super easy to find at a moment's notice. 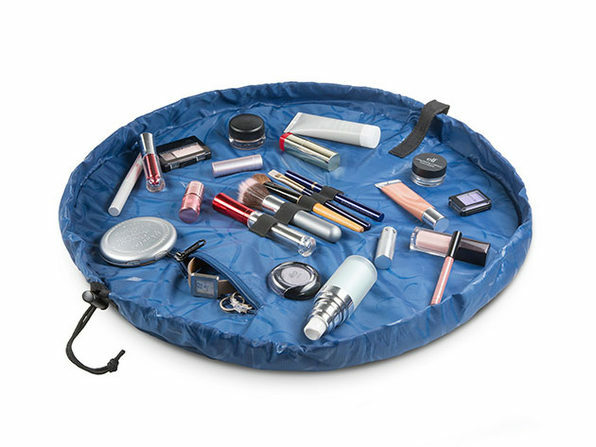 The bag is also machine washable and wipeable so you can keep it clean, even after a spilled eye shadow disaster. 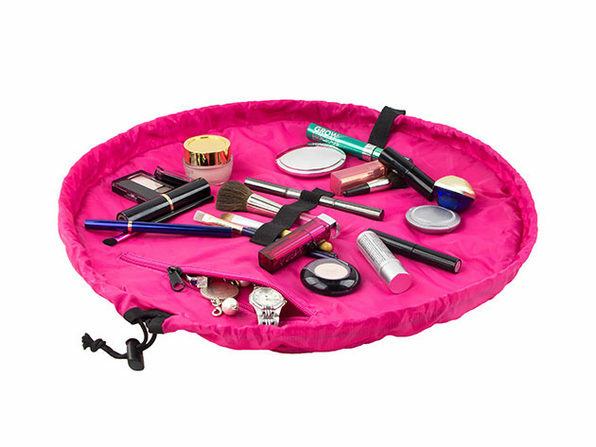 You can use this handy bag at home as storage or while traveling; just pull the drawstring cord to cinch it closed and keep your makeup organized.